Panel for Nette Debug bar which quickly tells you which database you use. Another way is download ZIP archive with last master. Stable release v1.0.1. 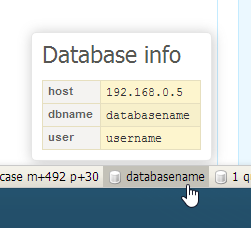 Added support for custom style of database name in Debugbar.